Pure Effect is a full-service company that has over 30 years' experience in water treatment, soil remediation, groundwater remediation and air quality management for a variety of industries. Many people have heard about activated carbon water treatment but most of them do not know exactly what this treatment is all about, and how it is helpful. That is why we are going to take a look at some of the basic things that you should know about activated carbon water treatment. Let us tackle the first part: in this kind of purification treatment carbon is used. We are going to take a look at exactly how it is used. Basically carbon is obtained from coal, and things like the shells of peanuts. After that this is heated so that it becomes a different form of charcoal. The passage of gases which are strong oxidising agents through this form of charcoal, at some really high temperatures results in the formation of holes within the charcoal. The better the process is done, the more holes are created. These holes can be thought of as something like the holes in a sponge, and like a sponge soaks up stuff, so does this form of charcoal. 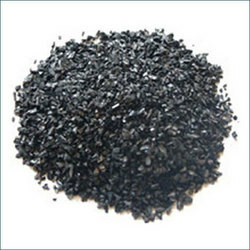 Once the process of making the holes is complete, the charcoal with holes is known as activated carbon, and hence the name activated carbon water treatment. So what is the treatment exactly? Again the process is actually very simple: the holes that have been created in the carbon act like small pockets, and this gives activated carbon absorbing capabilities. When it is brought in contact with water, and the process of activated carbon water treatment begins, the activated charcoal basically absorbs all the things from water that it can. Carbon forms the basis of organic materials, and it basically helps remove impurities that have an organic nature from the water. It also helps remove chlorine, which is used in the water treatment process to get rid of bacteria, and is responsible for the stench that water has. This is true for activated carbon, but there are many different carbon fibres, and if they are used they give even better results. For example, a specific type of carbon fibre can help remove lead impurities. This is a very good thing, because lead can be extremely harmful to human health. It can lead to lead poisoning, and also causes many other problems of a rather severe nature. Installing filters in your house, that use this type of carbon fibre to clean water, helps make sure that you get clean, and pure water.